Our factory-trained professionals have an acute understanding of the necessity and function of every appliance in your home. 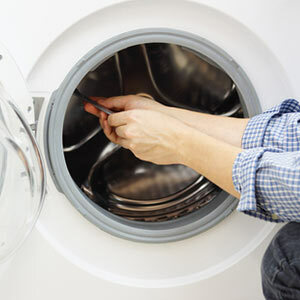 Just as with a car, no matter how well made, every appliance is going to need a tune-up to maintain its integrity and to ensure its longevity. Refrigerator and stand-alone freezer repair: Outsiders probably don’t think Alaska gets very hot, but we know that you can’t survive without a good working refrigerator and even a stand-alone freezer to keep your meat fresh. With quality repair service, your refrigerators and freezers will last a lifetime. Oven, stove and range repair: The appliances you use to cook are equally as important as those you use to preserve, and they present more of a safety and health risk as well. Ovens, stoves and ranges clogged with grease or improperly maintained run the risk of developing a gas leak or becoming a fire hazard. If anything seems off, give us a call for your safety and convenience. We pride ourselves on being the foremost source for oven repair in Anchorage, AK! Garbage disposal and trash compactor repair: Disposals and compactors are prone to jams and burnouts that can be incredibly inconvenient as well as dangerous for you to attempt to fix. Let our trained professionals get these crucial appliances back in perfect condition to make your life cleaner and easier. Dishwasher, washer and dryer repair: Dinner parties, muddy clothes, pet hair: your cleaning appliances often take the worst beating. Dishwashers can drastically lose efficiency after years of grease, soap scum and food debris buildup; washers can develop leaks; and old dryers can become fire hazards. With our finely tuned skills and superior parts, your old cleaning appliances will run like new again. Microwave repair: We’ve all been there: after a few years of daily use, your microwave takes several minutes just to heat a cup of coffee. With its small size, a microwave on the fritz might seem like it needs replacing, but the cost to your wallet, as well as to the environment, is prohibitive. Keep your cooking options open and let us restore this wonder-machine to its original usefulness. 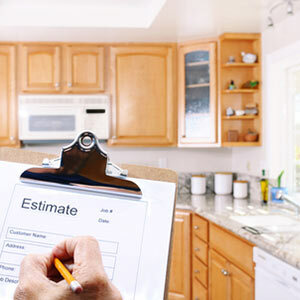 Whether you’re addressing the needs of an aging freezer, irritated with a noisy washer or ready to finally invest in oven repair in Anchorage, AK, make Eagle Appliance Service your first choice for first-rate repairs. We’ll consult with you about the needs of your home to ensure we make your life less stressful, not more, and we’ll go above and beyond to make sure you’re genuinely satisfied. As with any good neighbor, advice (and quotes) are free, so give us a call today at 907-694-1700 to learn more about our services or to schedule an appointment.